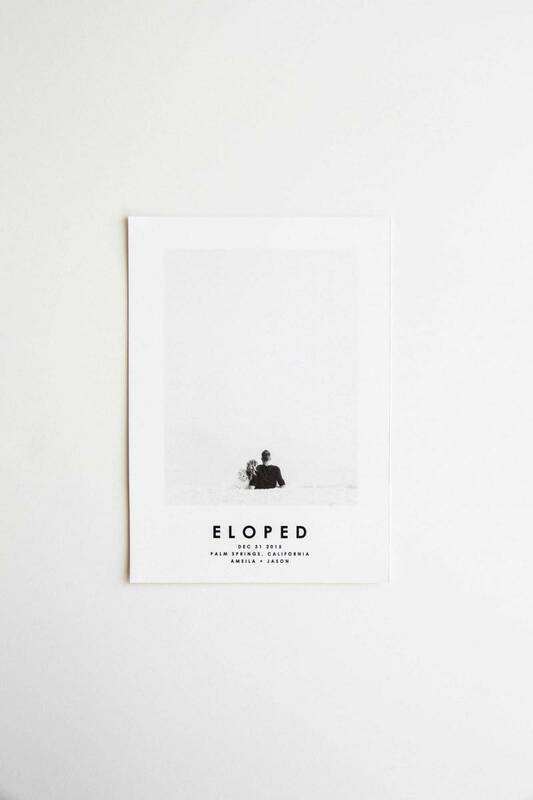 We are just a wee bit in love with the idea of eloping in the mountains and when we came across these elopement announcements from Bloom Invites it was the icing on the cake! Imagine the romance of eloping beside a waterfall surrounded by great mountain peaks and the love of your life. It's an incredible and powerful moment but somehow changing your Facebook status when you get home just doesn't do that moment justice. That's why we immediately fell in love the idea of sending a gorgeous announcement that you eloped to all of your friends and family. 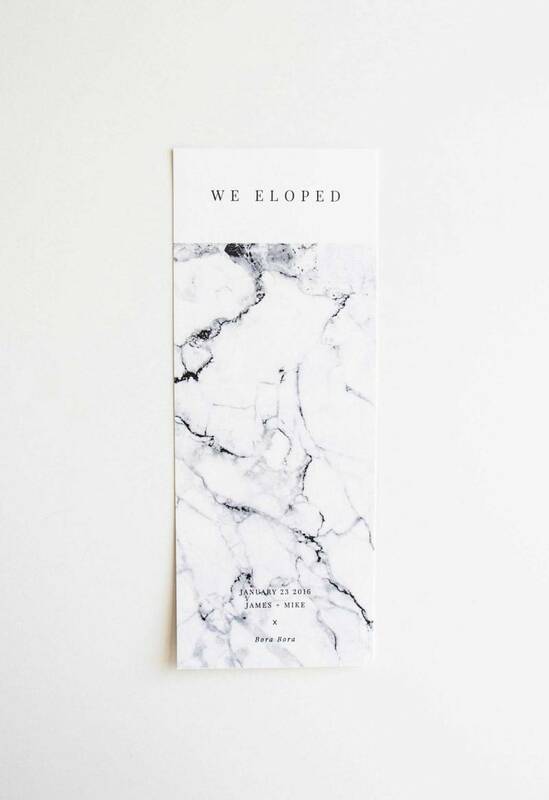 And Bloom Invites has already created a fabulous and modern line of elopement announcements...we are in love with the modern and minimal design of each and every one of them. Alaina, the owner and mastermind designer behind Bloom Invites told us a bit about their company. 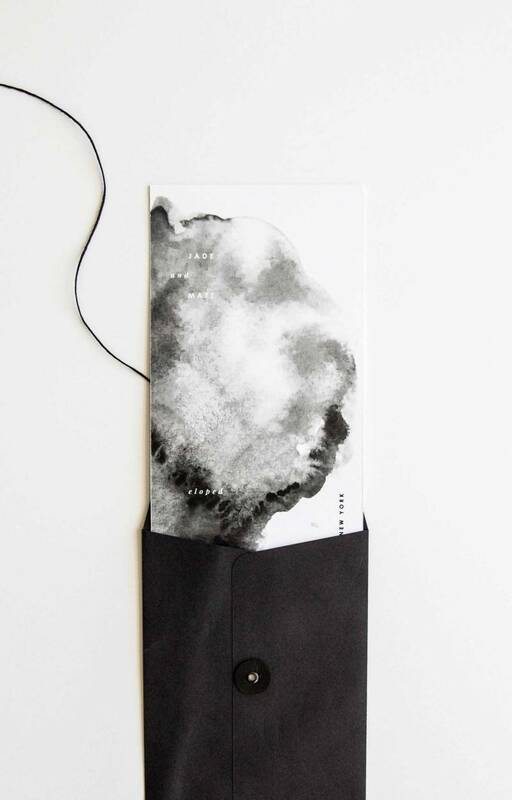 "Bloom Invites creates boutique custom wedding stationery. 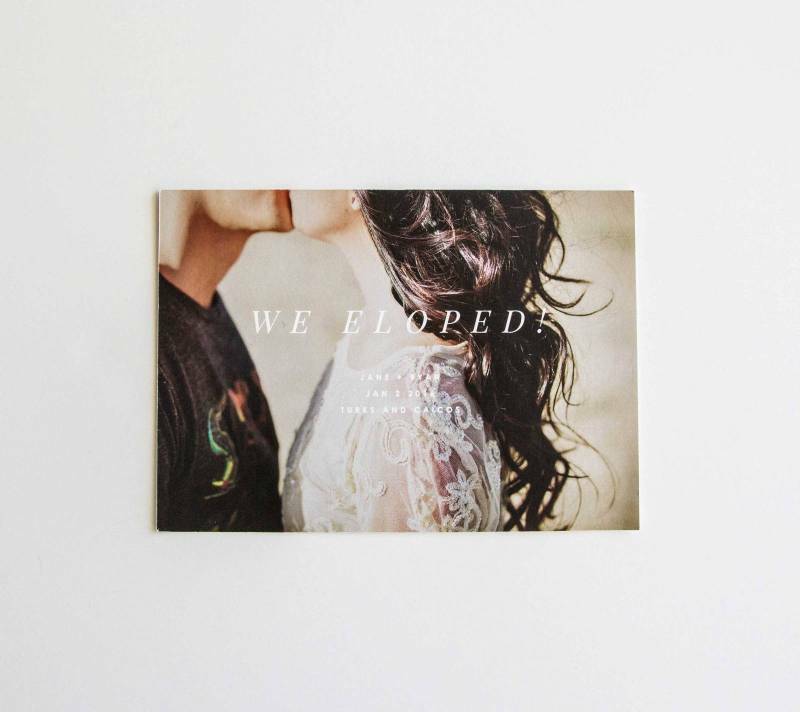 Our main focuses are always excellent service, flawless print and impeccable design. We're always striving to push the stationery and design boundaries, molding and perfecting our craft as we go. It's more than a service at Bloom Invites, it's an experience of bringing your wedding stationery suite from thought to paper." 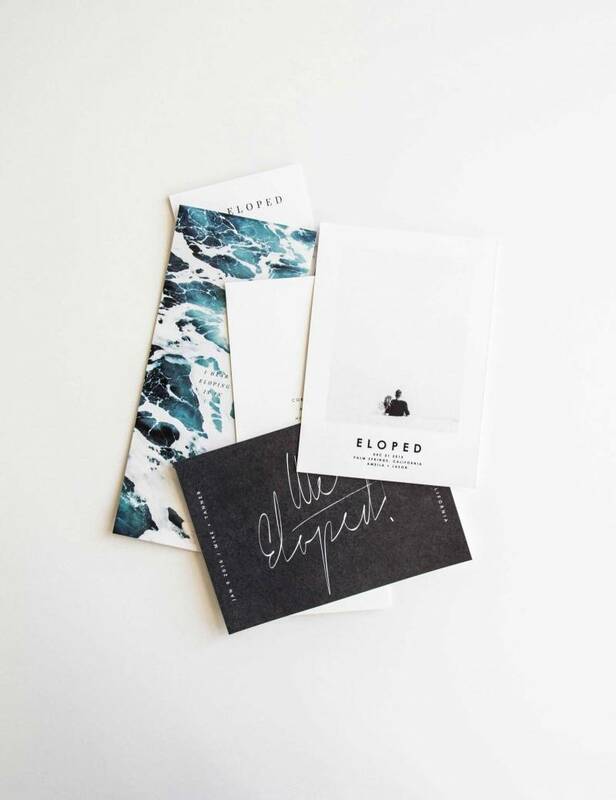 Right now you can order these directly from Bloom Invites and this Spring they are launching their online store to make ordering even easier! Thinking about eloping in the mountains yourself? 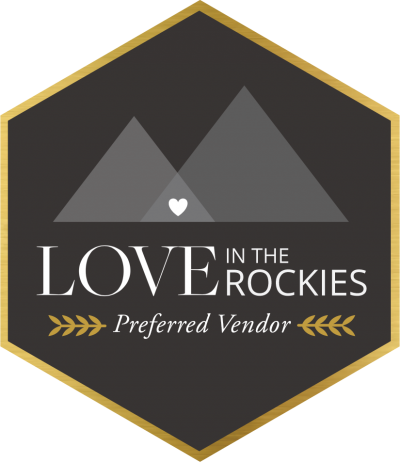 You can find our favourite real rocky mountain elopements on our site for great inspiration and ideas. We especially love this Emerald Lake Lodge elopement and this gorgeous heli elopement.